The stories in this book are arranged in three groups, for 4-6, 7-9, and 10-12 year olds. A topical index shows where to find stories on particular themes. These are stories kids will relate to readily and enjoy thoroughly. The stories avoid mere moralism, and rather point children to the Saviour. Highly recommended. I like how there are different stories geared for different ages. My children are young so we are working our way through the 4-6 stories. Looking forward to reading the rest as the kids get older! This is a great Christian family story book. Since it is broken up into three age groups, you can always find stories for your child. The author seeks to draw children to Jesus through the everyday occurrences in children’s lives. As the characters struggle with ordinary challenges in their lives they learn to apply Christian truths to their circumstances. The author understands how children think and play and uses this knowledge to good effect. This book is geared towards “churched” children as it assumes some doctrinal knowledge. It’s topical index is useful to find stories dealing with particular issues. From dealing with envy to tithing, many pertinent topics are covered. Our family just finished reading through this book for the second time and were blessed by it once again. Tamminga has a real gift at writing a rich variety of stories that point the reader to Christ; whether the reader be two years old or in their adult years. 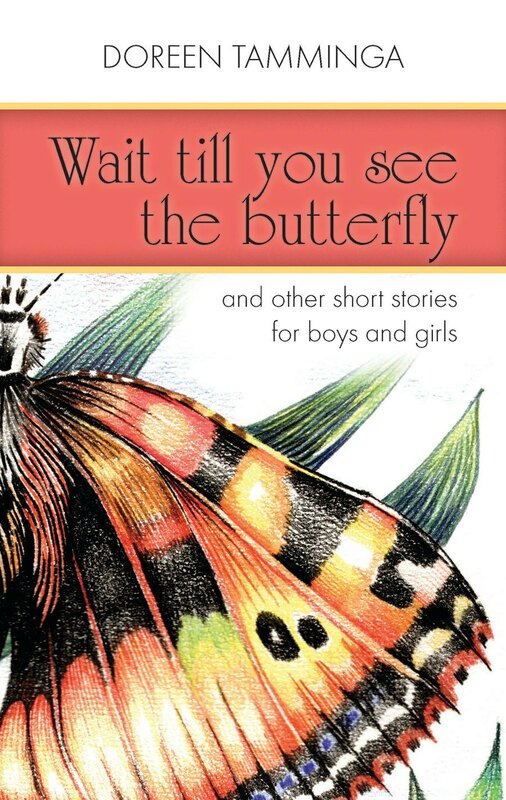 My kids would ask everyday if it was time for the ‘butterfly book’ yet . This is definitely a book I would recommend to others and plan to pick up once again in the coming years. Great book! Every chapter is another story which makes it so easy to pick up. Our kids really enjoy this book and learn good biblical lessons from it. Wish there were more of these books! Lovely book which deals with Christian living in the everyday lives of children of a variety of ages. Highly recommended. The author understands the thought world of children and doesn’t talk “down” to them or moralise. Stories for children to point them to the Lord Jesus Christ as the only Saviour from sin, and to encourage Christian living. Arranged for age-groups 4–6, 7–9 and 10–12 years. 256pp.